International Mother Language Day is a UNESCO observance that has been annually held on February 21 since 2000. It is aimed at promoting linguistic and cultural diversity and multilingualism. The date of the observance was chosen to commemorate the Bengali Language Movement. On February 21, 1952 students and political activists in East Bengal (today Bangladesh) organized a demonstration in support of the official status of the Bengali language. In Bangladesh, the anniversary of the protest is celebrated as Language Movement Day, a public holiday. 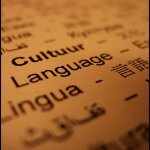 The somewhat awkward term “mother language” refers to native language (also known as mother tongue or first language), the language a person has learned from birth or (in some countries) the language of a person's ethnic group. The purpose of International Mother Language Day is to promote the protection and preservation of languages as well as to encourage multilingual education and linguistic diversity. On this day, Linguapax Institute awards the International Linguapax Award for outstanding contributions in this field. Each year, UNESCO sets a new theme for the day. The main events are held at UNESCO headquarters in Paris, but all the member states are encouraged to organize their own events as well.